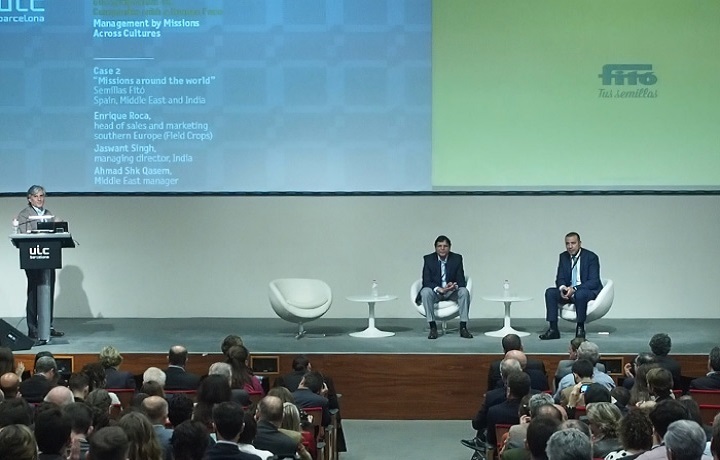 On 27 April the Aula Magna in the Universitat Internacional de Catalunya (UIC Barcelona) hosted the VI “Companies with a Human Side” Symposium, organised by the Chair for Management by Missions and Corporate Government. This sixth edition of the Symposium focused on the application of the management by missions model in companies around the world. More than 200 executives and businesspeople participated in this symposium. Management by missions is a type of management and organisation based on people, their motivations, their values and the meaning behind the significance of their actions. This translates into a system of government and organisation that deploys the idea of missions at different levels in companies. During the round tables, conferences and sessions, the speakers presented successful cases of the management by missions model in different cultures and countries such as: Israel, the United States, Lithuania, India and the Middle East. Among the speakers Imad and Reem Younis stood out. They are the founders of Alpha and Omega, an Israeli company which has managed to incorporate workers with different cultures and religions (Muslim, Jewish and Christian employees). Semillas Fitó is also one of the companies that presented a successful case, Enrique Roca, Jaswant Singh and Ahmad Shk Qasem, executives from the company, described their experiences of the different offices they have in Spain, the Middle East and India. Other international speakers included Phil Sotok, president of Venture Source (United States) and Romualda Stragiené, CEO of Biok Laboratorija (Lithuania). Additionally, as part of the Symposium, Dr Toni Mora, Vice-Rector for Research, Innovation and Knowledge Transfer, gave an award to Huf Portuguesa for its five-year tenure as a member of the Chair for Management by Missions and Corporate Government.